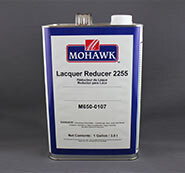 Used to improve the flow of lacquers and sealers without slowing the drying. Additions of one or two ounces of Flash-Off control solvent per gallon of lacquer will eliminate overspray roughness in the finish and improve the overall smoothness. Not a blush retarder.